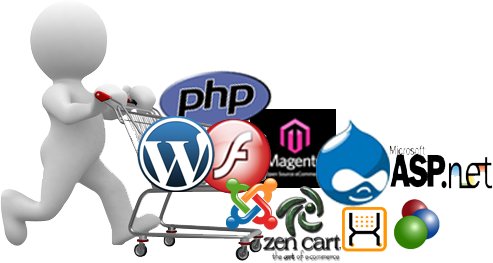 Web Development is a broad term for the work involved in developing a website for the Internet (World Wide Web) or an intranet. Kenovate Solutions has capacities and experience enough to create, launch and support a simple website to a robust, complicated web solution of any complexity and scalability. We offer a full range of web development, web application development, custom web application development services to small and medium enterprise & large enterprise. Analysis: Kenovate's team analyzes the competition and target market behavior to deliver the most appropriate technical solution possible. This has been possible with our team experience of over 20years. Strategy: Kenovate's Web Development services include development, co-ordination and implementation of most appropriate web solution to suit your business, brand or organization, as well as your target demographics. Architecture: Kenovate Solutions designs a blue-print or template for your website's structure, layout, functionality, and back-end systems. Creation: Through the use of programming languages and HTML/jQuery tools, Kenovate's experienced team creates the structure, design and functional layout of your web solution / website. Implementation: Kenovate's Web Development (services) configures Staging / Demo environment of your web solution / website to our state of the art and secure server environment. After its been well tested, the same gets deployed on your live server - ready to go live!